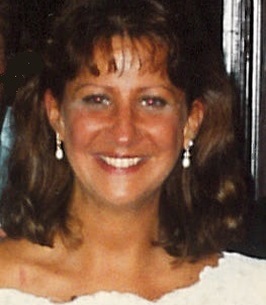 Anne G. Bishop, MD, 64, of DeWitt, passed away peacefully at home. She was born in Auburn, NY and met the love of her life, Kenneth Shaw, while they were in High School. She received her undergraduate degree from St. Lawrence University and graduated from Upstate Medical Center with her MD. She worked as a physician for CNY Internists Associates. Anne was a communicant of Holy Cross Church in DeWitt. She is survived by her husband of 29 years, Dr. Kenneth Shaw; daughter, Katherine and Adam Dieck of Syracuse; brother, Dr. John Bishop of Syracuse; sister, Dr. Jeanne Bishop of Syracuse; and the Westbrook family. Family and friends may call from 4:00 to 7:00 pm Monday, December 3 at Eaton-Tubbs Fayetteville Chapel, 7191 E. Genesee St., Fayetteville. Funeral services will begin at 9:15 am on Tuesday, December 4 at the funeral home followed by the funeral Mass at 10:00 am at Holy Cross Church, 4101 E. Genesee St., DeWitt. Burial will be in St. Mary’s Cemetery in DeWitt. In lieu of flowers, contributions may be made to Holy Cross Church, 4112 E. Genesee St., DeWitt, NY 13214 or the American Cancer Society/Non-Smokers Lung Cancer, 6725 Lyons Street, P.O.B. 7, East Syracuse, N.Y 13057. I was her patient many years ago. I was so fortunate to be able to get into her closed practice. She was the most compassionate, caring doctor I ever had. I was sad to leave her practice when I retired. My condolences to her family. Dr. Bishop was my doctor many years ago l was so disappointed when she left the practice, no one compares to her. Condolences to your family. Rip Dr. Bishop heaven gained a beautiful angel. Dr. Bishop was my doctor years ago. I loved her. I credit her with saving my life when I needed heart surgery. She put me in touch with a great cardiologist and followed my progress. Not many doctors call you at home to see how you are. She did. A kind, gentle person gone too soon. My sympathies to her family. Anne Bishop, the sweetest most compassionate physician, and person, I have ever had the pleasure of knowing. Rest in peace. Nooshie was an amazing childhood friend. She was always compassionate, intelligent and beautiful (inside and out). I have many fond memories of growing up together in Auburn. I can still picture her long braided hair and blue glasses along with her childhood home. I remember walking up the many stairs to a special greeting from her mother. I can reflect now and know why she grew up to be such an amazing woman. She will always be a shining star in so many peoples life's. I know she will always shine brightly in my heart. To Jackie, Jeannie, Ken, Kate, and Billie, our deepest sympathies. Nooshie was an amazingly beautiful person inside and out. I have fond childhood memories that we shared of some of the very best times in my life. I feel privileged to have had the opportunity to be her friend. May God grant you peace and love at this difficult time.